Don't miss it! 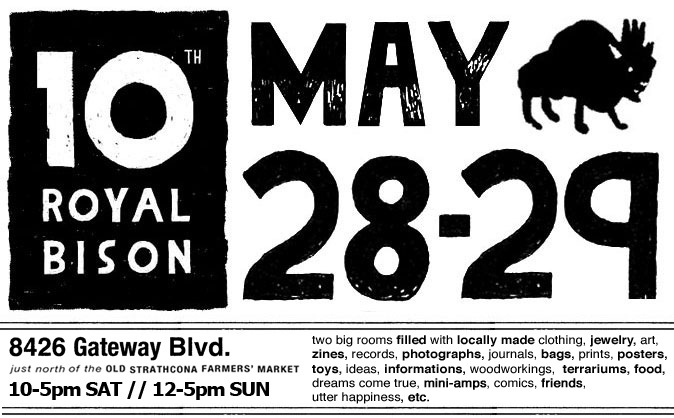 This weekend fill your eco-friendly, woven hemp shopping bag with all kinds of creative, charming handmade goodies at Edmonton's Royal Bison Art & Craft Fair! More than 50 vendors will be selling everything from handcrafted jewelry, clothing, original artwork, cards, journals, baked goods and more!